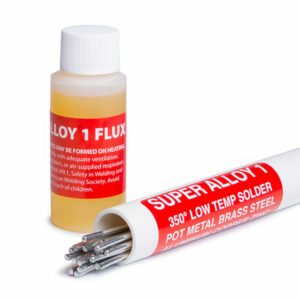 Super Alloy 1 multi-metal solder is utilized to fill a gap between two zinc plates. Zinc is a naturally occurring, bluish-white metal. Lighter than brass, zinc is malleable and strong, making it an affordable metal of choice for many industrial purposes including: die cast hardware, electrical components, pinions, gears, and the galvanization of steel. 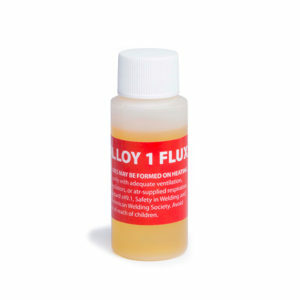 Although zinc has a low melting temperature of 786°F, Super Alloy 1 rod and flux flow at 350°F, enabling even the novice welder to successfully repair zinc with a propane torch.